The SOLAS YV-TP-12/20 Impeller twinprop is for max performance. SOLAS YV-TP-12/20 is made of stainless steel and come with polished finish. 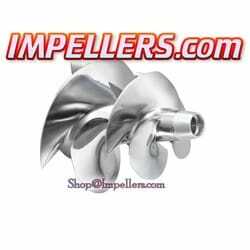 Solas yv-tp-21/20 impellers twinprop fits Yamaha Waverunner FX SVHO, FX Cruiser SVHO 2014 -up. FX Limited SVHO FZR SHO 14-up, FZS SHO 14-up, Yamaha GP1800.. Performance increase from the Solas yv-tp-12/20 impellers.